We love trader Joe's gluten free version of the all time favorite Mac n' Cheese. First, the box is smiling and I promise you will too. Second, your taste-buds can't even tell it's gluten free. Lastly, this happy box makes a great side dish to any meal your making! 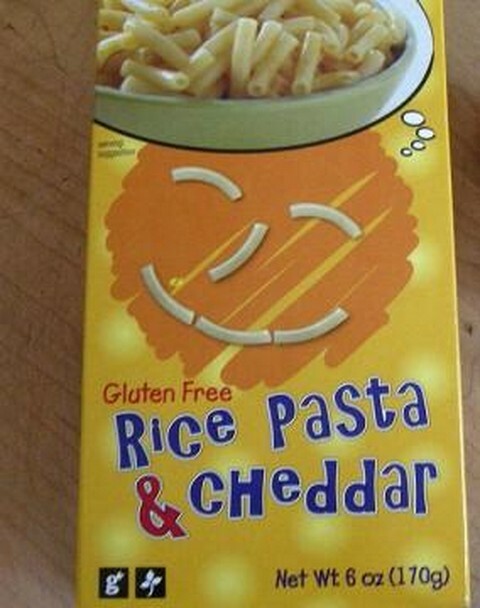 With 2.5 servings per box, we promise you'll still be smiling 2.5 meals from now! Call me skinny, but did someone just mac on my cheese? I love mac & cheese! Especially if it's gluten-free!